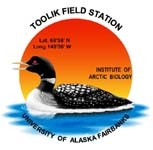 » Toolik Inlet Discharge Data collected in summer 2005, Arctic LTER, Toolik Research Station, Alaska. 1 February 2016. Changed file with Dataset ID *.02 to Dataset ID *.03. The discharge measurements were corrected based on updated rating curves, and erroneous data were removed at the very start of the measurement period on 9 June 2005. Also removed the variable "stage height" because this is a relative measure not comparable across years. See Methods.